Do It Yourself – DIY – happens when people and communities just go ahead and make something for themselves, without waiting for a professional or for permission. DiDIY (Digital DIY) is the huge boost to this activity – and the associated ‘can do’ mindset – facilitated by digital technologies, through the sharing of designs, tools, support, and inspiration. 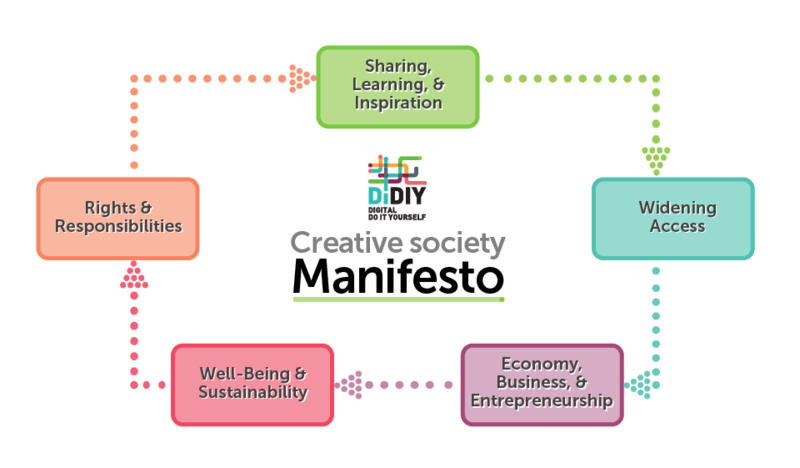 The DiDIY Project has summarized the many benefits of DiDIY in a Creative Society Manifesto, whose points are listed below. The complete Manifesto is described in a blog post. You are invited to let us know what you think of the Manifesto, and above all to sign it! 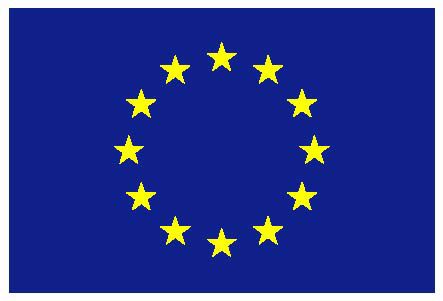 Please note that the signatures will be public, and periodically sent to the European Commission (*). To promote opportunities for a thriving circuit of sharing, learning and inspiration in all fields of Digital DIY making. To explore alternate forms of creative platform – online, offline, and interlinked – which offer new opportunities to make, share, connect, include and inspire. To support growth of community making in a diverse range of locations, and attract people of different backgrounds and interests. To diversify notions of ‘making’ to include a greater range of tools, practices and interests (and therefore more radically diverse ‘makerspaces’). To consider creating spaces and facilities for making in library, museum, school, and other civic developments. To value the Digital DIY spirit of innovation, invention and entrepreneurship, and support grassroots and entrepreneurial initiatives. To support new business models based in sharing of knowledge, collaborative making and circular economy. To support education, learning and continuing professional development which will enhance collaborative and entrepreneurial traits in employees. To enable more people to experience the enhanced well-being reported by makers, associated with close social interaction, creative problem-solving and greater creative confidence. To embrace and enhance the role of Digital DIY in realising sustainable futures. To use open standards to drive innovation, and ensure that regulations on product safety and intellectual property do not stifle creativity. To make responsible use of the power of Digital DIY, respecting other citizen’s rights, increasing meaningful participation, and contributing to positive societal development. (*) DiDIY Manifesto privacy info: the list of signatures is public. On Google's side, data will be managed according to Google's policies.